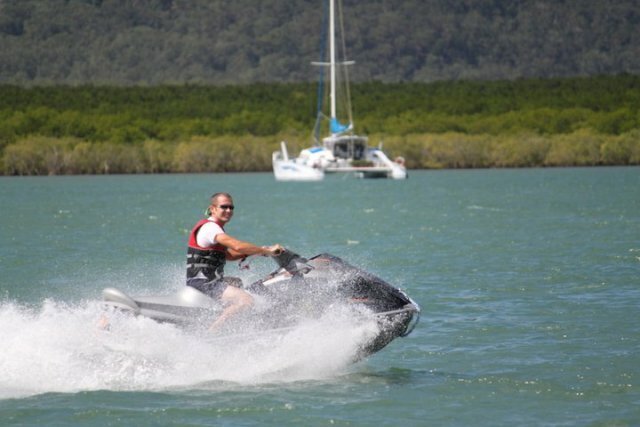 For all your water sport thrills and spills join the crew of NQ Watersports for the adventure of your life. 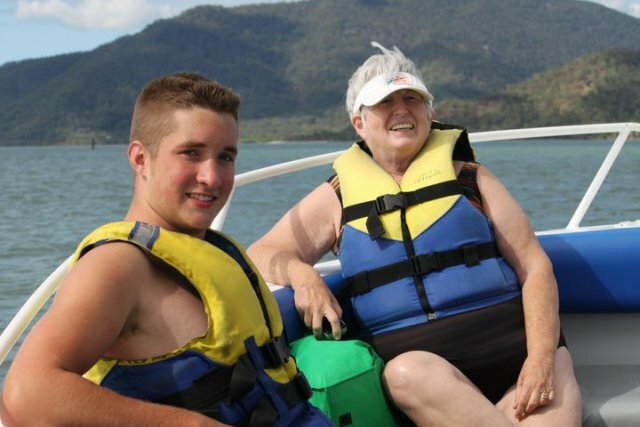 Enjoy the calm waters of Trinity Inlet, with the Cairns foreshore and Esplanade on one side and Coral Sea on the other. 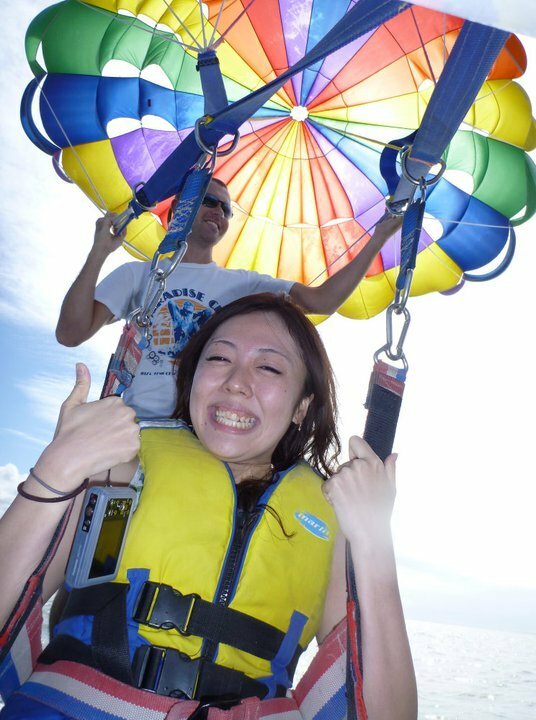 Solo and tandem experiences are available and you don't need any experience or a license, just a sense of adventure and some sunscreen. 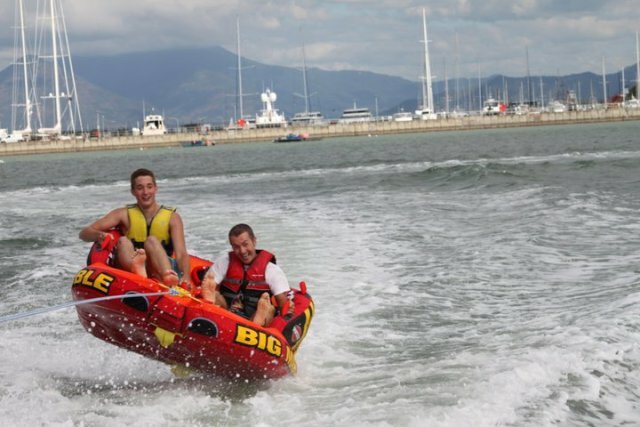 All of the Cairns water sports adventure activities are suitable for people of all ages and are a great family activity. 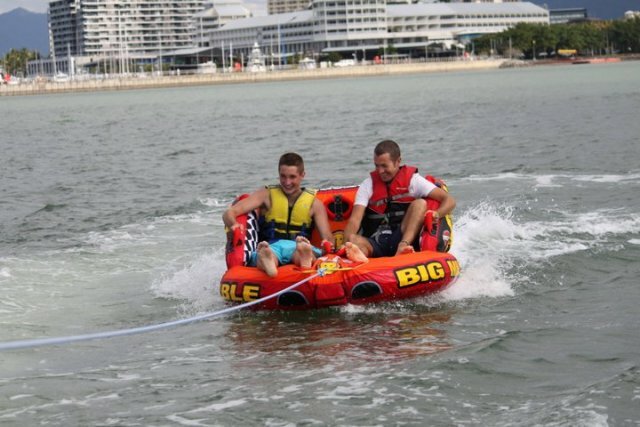 Qualified guides provide full operational and safety briefings prior to all NQ Water Sports activities. Equipment is fully maintained to ensure the highest levels of safety and reliability, at all times. 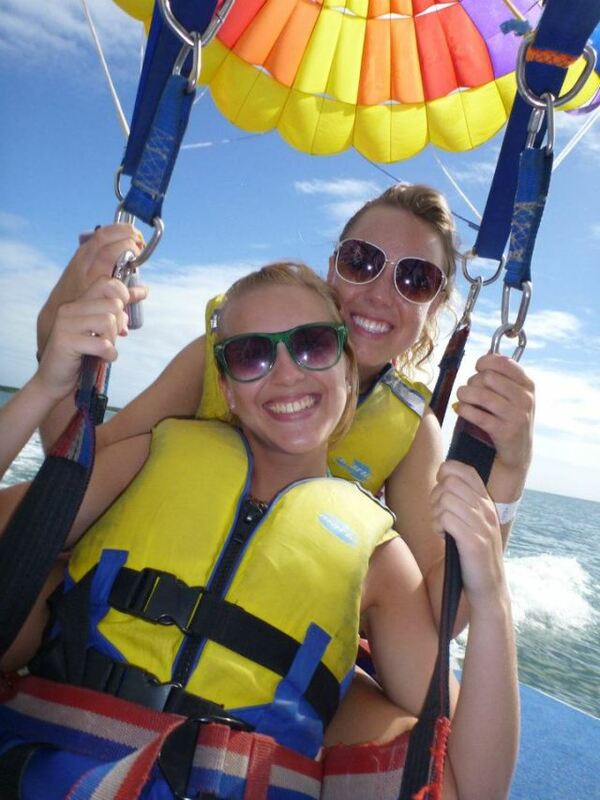 You could say it's a combination of water-skiing and parachuting – a mix that is as exciting as it sounds! 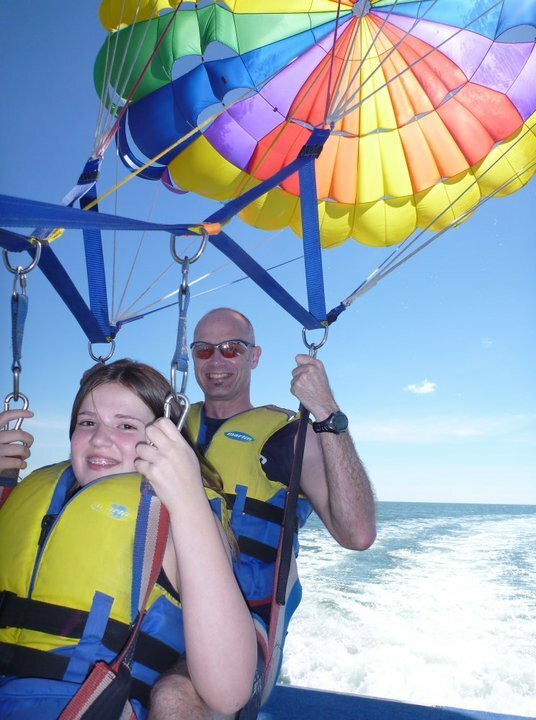 Feel the thrill as you are gently lifted off the deck of the custom built parasailing vessel to soar 300 feet above the waters of Trinity Inlet. 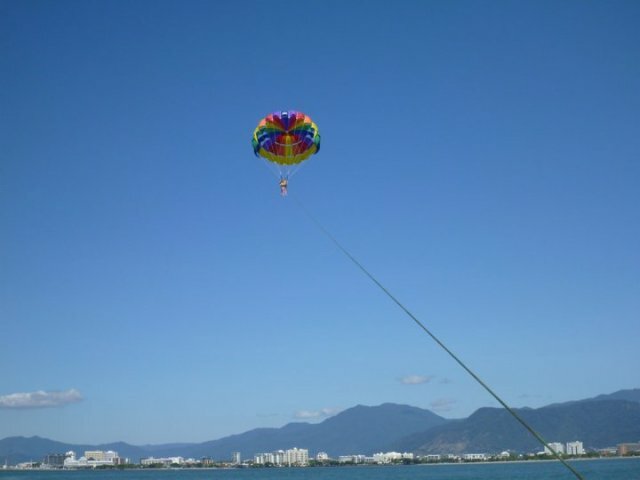 The ballooning parachute hoists you high into the air providing breathtaking views of Cairns City and mountains. 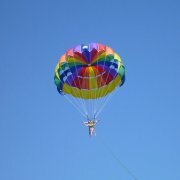 You can fly solo or tandem, stay dry or take a dip. 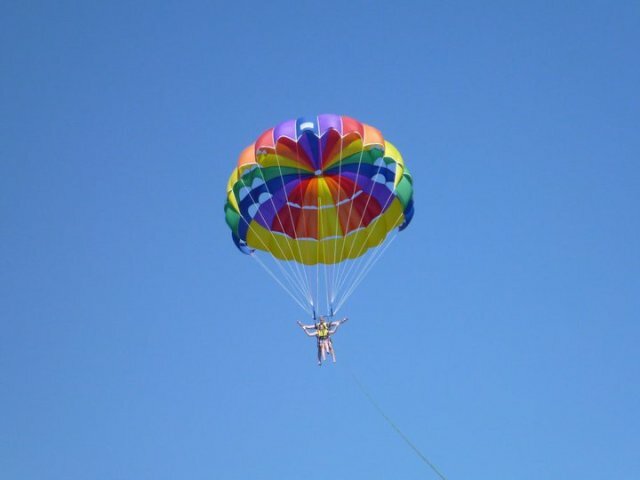 The trained drivers can also raise or lower the height of the parasail, so you can drop gently in the water and then be hiked back up 300 feet into the air. 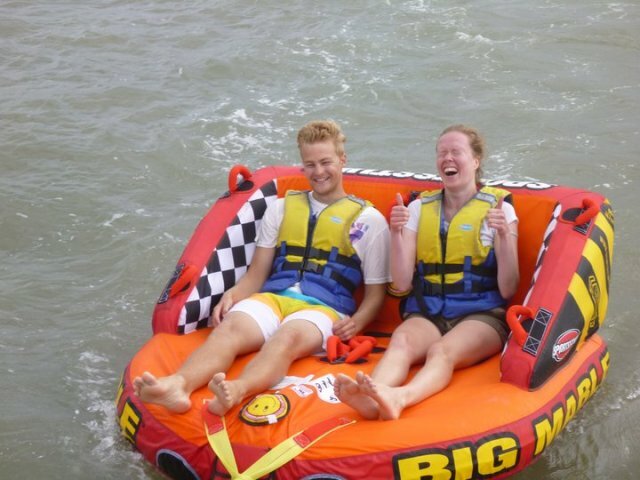 You are then gently winched back safely to the platform of the boat. 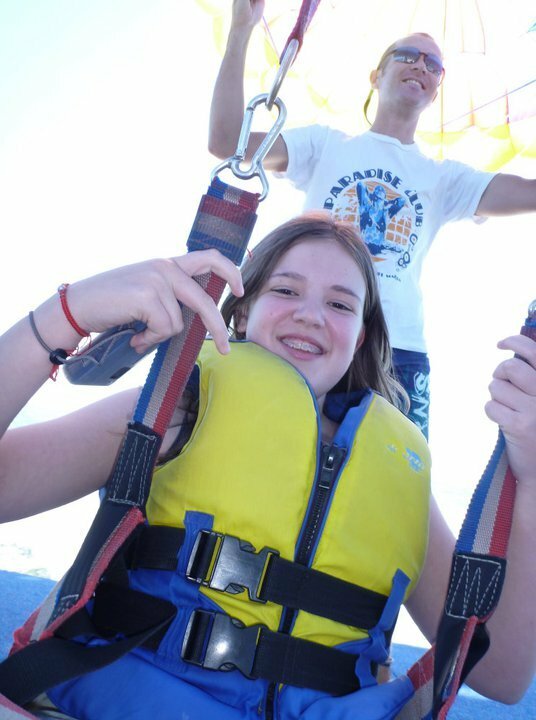 The Parasailing experience takes about 10 minutes in the air but more time needs to be allowed for the entire experience. Weight restrictions are a minimum of 45 kilos and a maximum of 160 kilos. 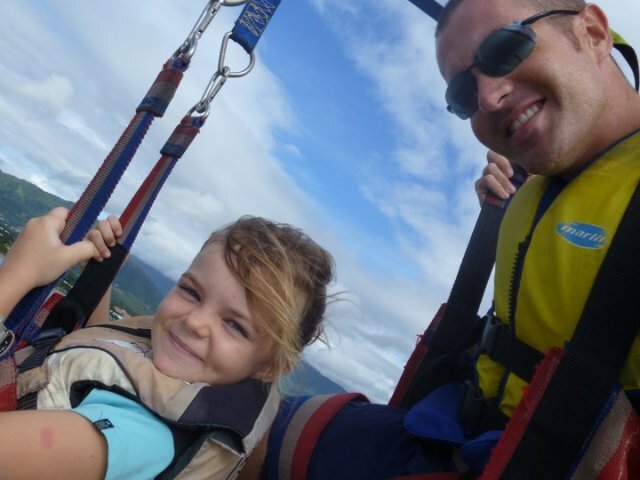 For children who are under 45 kilos they can tandem with an adult. Ride the ultimate fun machine! No licenses or experience are necessary. You will be riding the latest Yamaha VX 1100 cc four-stroke, built for comfort and stability. This 30-minute adventure can be enjoyed as fast or slowly as you like and the professional staff are on hand to provide assistance and keep it safe. 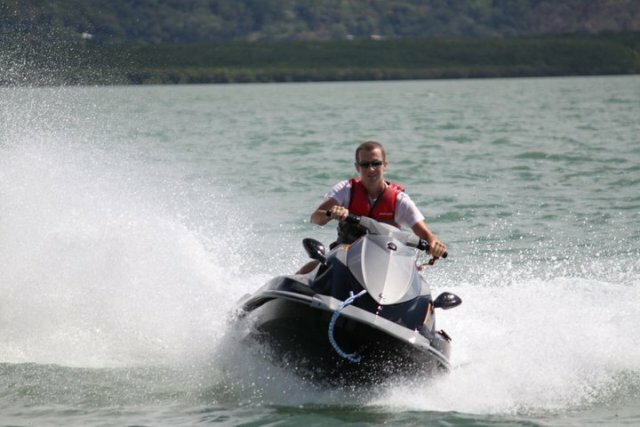 Why not try one a guided jet ski tours through Trinity Inlet. This will be educational and fun! 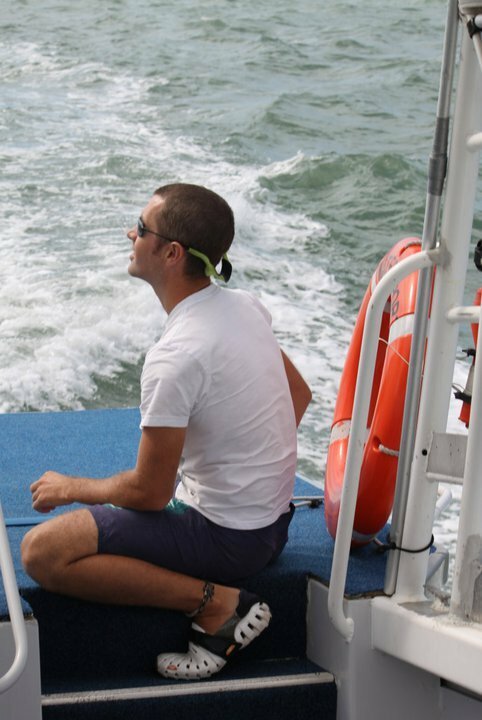 See an original Sydney harbour ferry up and around Admiralty Island, with a chance to see some natural ecological habitats and travel through mangrove channels. There is also the opportunity to pick up speed and see what these machines can really do. 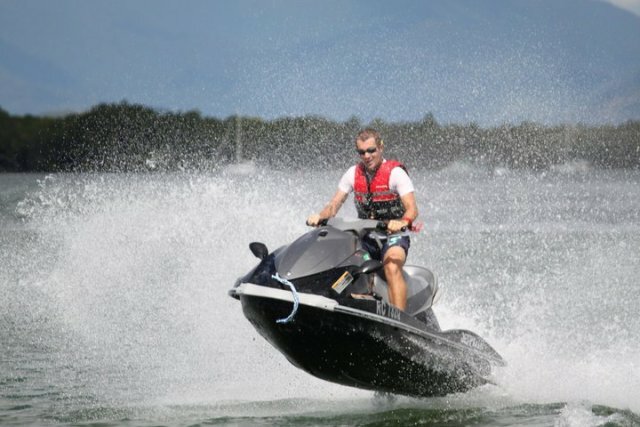 There is a maximum of two solos or two tandems available at any one tour. Minimum two people required per booking. An Amazing 45 kilometre tour around Admiralty Island, up through amazing mangroves, past an original Sydney Harbour ferry and in to Mackey Creek. 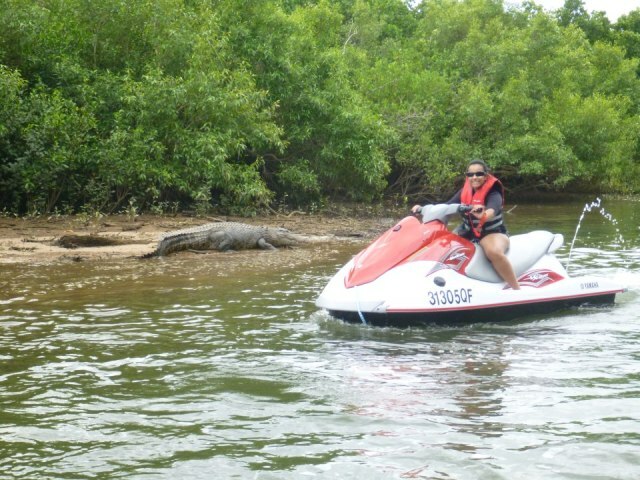 See crocodiles in their natural habitat. Watch as nesting Ospreys glide in the skies above. The animal life is stunning with Ibis, Egrets, Sea eagles and many more to mention. Then it's a quick sprint over to Two Mouth Creek as you travel across the smooth waters to our last two creeks. Check out a few more crocs in Wrights Creek before a final run into Blackfellow Creek and then the journey home. 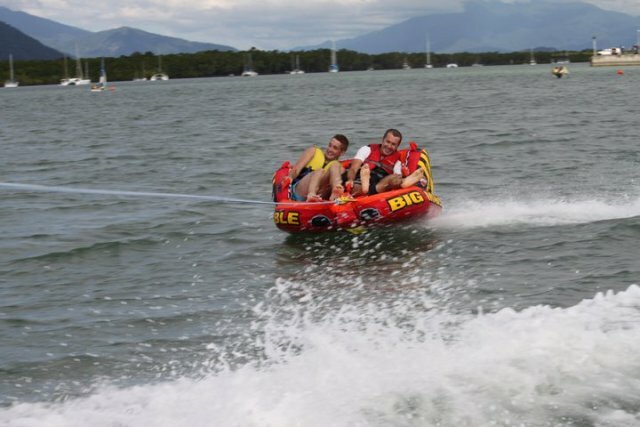 The bumper tube carries four people to a maximum of 320kg. This ride can be as tame or as outrageous as you like. 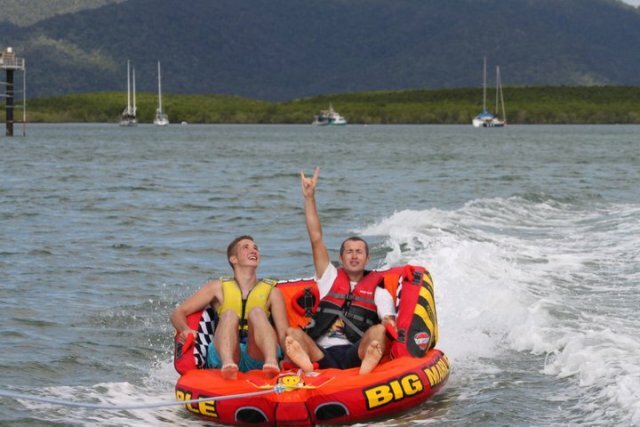 Exhilarating fun solo or for the whole family and is the best way to cruise around Trinity Inlet. Experience it all! 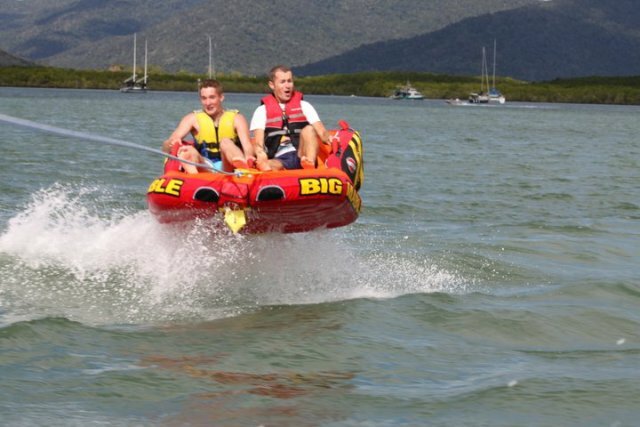 The Adventure Package gives you the best three Cairns water sports activities, at the best price. 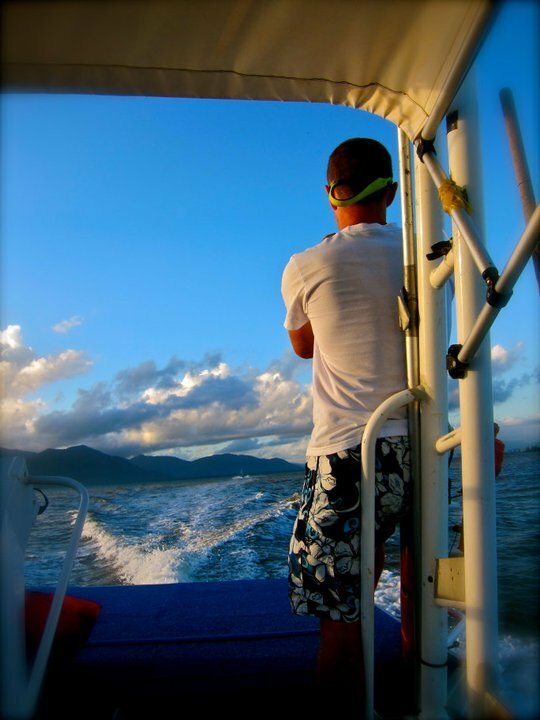 You don't need any experience or licenses, just a sense of adventure to explore the Cairns waterfront in the most amazing two-hour tour in town. 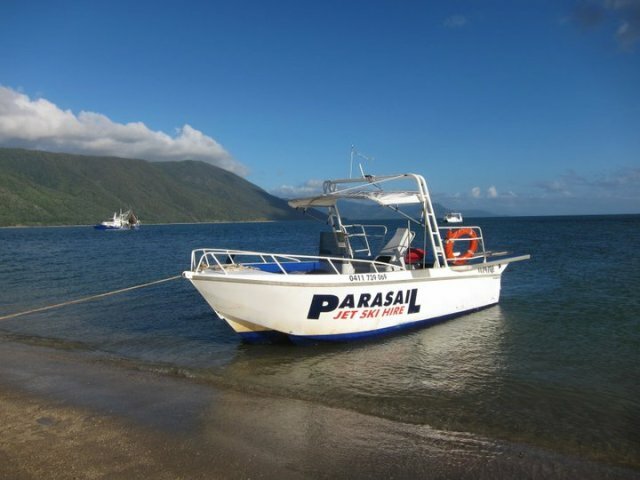 Operates daily from "B" Finger Cairns Marina (near Reef Fleet Terminal) at 9am, 11am, 1pm and 3pm. 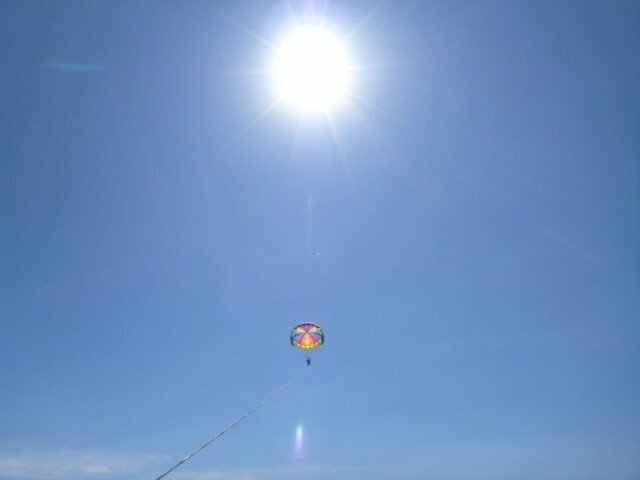 Change of clothes, sunscreen, a towel, sunglasses and of course your sense of adventure. 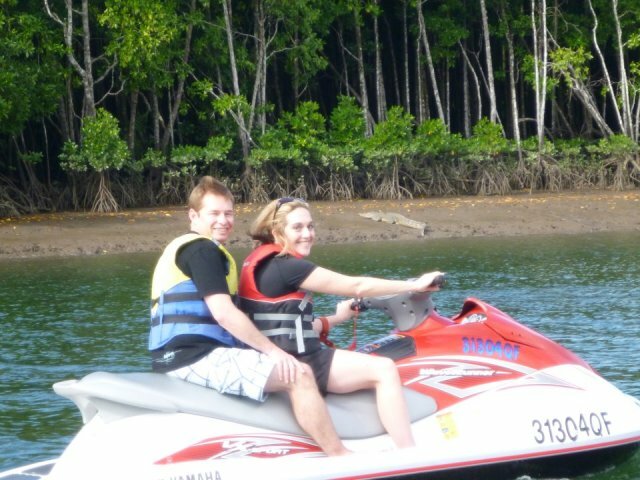 we had the best time ever with steve and sam from nq watersports not bad for a couple of forty year old mothers. very professional service and steve even went that litle bit furher to insure we had a trip to never forget.would highly recommend them and many fellow cruise passengers were quite envious of our extreme adventure. 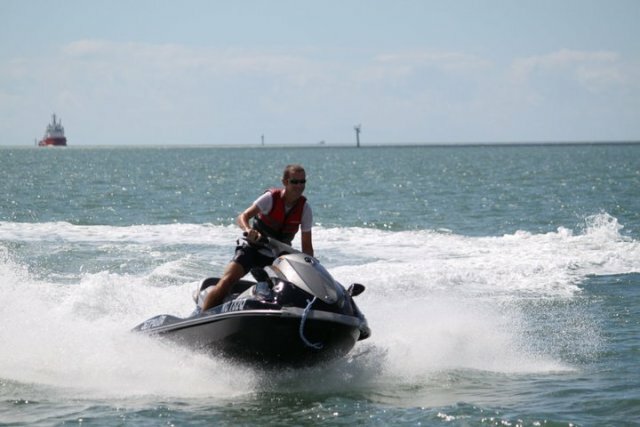 Very professional.Great time out on the water,would definately do this again.Great eye for detail. The operators were fantastic. The enthuasium of the staff was exceptional as they tended to our individual and personal needs.